us examine your particular problem. If you feel comfortable with our technique and knowledge, you know that you will be receiving the best acupuncture therapy possible. 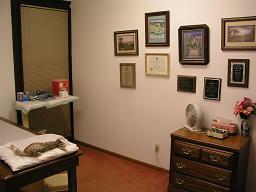 One thing to remember, we know our limitations, we will not give treatments for problems not treatable by acupuncture﻿. If you have a problem not our list please still call, we may still be able to help. example, fascitis, bursitis, or tendinitis. cervical spine (neck). This includes sciatica pain. 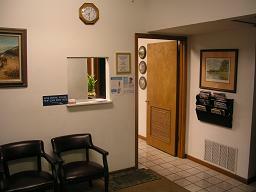 Allergies - seasonal allergies best treated with acupuncture. Food and drug allergies unlikely to be helped. quit smoking, dipping and cigar smoking. deficits can be treated, specifically Bell's Palsy. We currently accept all qualified insurance plans. deductible for the year or if you have no deductible. We are only reimbursed once the deductible is met. co-payments are due after treatment﻿. We can file with any insurance plan but most will be out of network with have different rules than in network physicians. We do not prequalify patients with their insurance. Medicare and Medicaid plans do not pay for acupuncture. However many supplement plans do pay for acupuncture. Please ask and we can determine your coverage. Most Medicare and Medicaid plans come with restrictions.